With the extensive growth of marketing channels and disparate data sources, it can be challenging to understand your customers’ complete journeys and difficult to secure valuable digital intelligence from your customers’ actions. However, the ability to gain actionable insight from the paths and behaviors of your customers can provide you with a competitive advantage – allowing you to uncover areas of conversion struggle and to identify opportunities to increase business. By using IBM Universal Behavior Exchange (UBX), you can easily share customer data between UBX-enabled products, including IBM Digital Analytics and Watson Customer Experience Analytics (CXA), to quickly broaden your understanding of your customers’ behaviors and visualize the entire customer journey, allowing you to identify top-performing paths, compare revenue and customer values across unique segments, and resolve potential issues to increase conversions. Utilize UBX’s simple browser-based user interface to quickly and easily define the data exchange between UBX-enabled products that you already own without the expense, delay and complication of custom integrations. Solve problems within a shared customer context by seamlessly combining customer behavior data from unique solutions into a comprehensive view. Seamlessly connect customer data sources to facilitate a consolidated view of customer journeys that allows you to recognize the most traveled paths, the shortest paths, the paths that generate the most revenue and the paths that are the most successful in leading to conversions. UBX syndicates data in real-time from endpoints. The data syndicated includes events (which capture a single customer behavior) and audiences (which are segments or groups of customers.) Endpoints are the solutions that send data through UBX, and they syndicate data through UBX as Publishers, Destinations, or both. Publishers register and send events and audience information to UBX, while the Destination endpoints, or Subcribers, register and receive events and audiences. Each customer event that enters the UBX system can come from a different channel or data source and can use different ways to identify the customer. The UBX identity service determines where those identities overlap, allowing individual seemingly separate events to be understood as the actions of a single customer. As UBX receives customer events, it attempts to join the incoming identifiers with the identifiers that exist in its identity database. Overtime, the UBX identity service joins unique identifier information that might be common across multiple applications that you define as UBX endpoints in the same user account. The result provides the continuous and evolving view of the customer in multiple context. This customer experience analytics (CXA) formula will assist you with setting up IBM DA customer data in UBX to pass over within Watson CXA, allowing for the selective exchange of event, audience and identity data between the applications, to offer a consolidated view of the customers’ journeys and a deeper understanding of your customers and their behaviors. For our CXA formula example, we will consider the following scenario: IBM DA as the Publisher, IBM Customer Experience Analytics as the Subscriber, Entry Page as the Event, and Page View Tag as the website tag. Note: While this example features the IBM Digital Analytics and IBM Customer Experience Analytics solutions, any UBX-enabled products can be registered in UBX including various IBM, IBM Business Partner, third party solutions and your own internal applications. If you are already in the IBM Marketing Cloud using IBM Digital Analytics (DA) or using another qualified IBM commerce application, simply fill out a form to request access to IBM UBX. You will receive a log in and password to access the cloud based UBX system. If you are an IBM Business Partner and want to take advantage of UBX, register or sign in to IBM PartnerWorld. You will need to be an independent software vendor (ISV) to get started. Before getting started with registering your endpoints, use the Dynamic Event Library in UBX to verify that the event type you will want to use for your particular business use case is supported in UBX. Dynamic Event Library can also be used to determine which UBX partners publish or subcribe to specific event types. 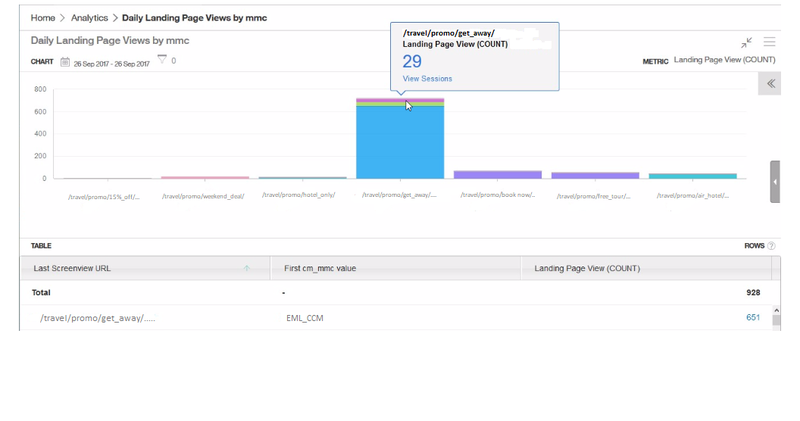 In top right, select “Select Publishers and Subscribers"
Set “IBM Digital Analytics as the Publisher,” as IBM Digital Analytics data will be passed through UBX in this example. Select “IBM Customer Experience Analytics” as the Subscriber. As UBX is an open system, there are many endpoints that can be registered in UBX, including IBM Campaign, Demand Side Platforms (DSP), Demand Management Platforms (DMP) and more. that your event is supported by the Publisher and Subscriber. As endpoints are the solutions that send data through UBX, you will need to register the appropriate endpoints in UBX for use in your UBX account. For our example, IBM Digital Analytics will be registered as a Publisher in UBX and IBM Customer Experience Analytics as a Subscriber. On the Endpoints tab, click “Register new endpoint.” The endpoint registration wizard will display. Note: The Endpoint registration wizard lists UBX endpoints for products and solutions that have completed an evaluation process and provide a way for you to submit your access credentials. You can filter the list by endpoint provider. If the endpoint that you want to register does not appear on the list, you must register it as a custom endpoint. Select the endpoint that you want to register and click “Next.” For our example, select “IBM Digital Analytics” as a publisher, and “IBM Customer Experience Analytics” as a subscriber. Select “IBM Digital Analytics” to subscribe to events from this application. D. Next, you will need to select the destination for the event(s.) Under “Select Destination,” select “IBM Customer Experience Analytics” for our example. E. Click “Subscribe.” The publisher and destination will now appear in the Events tab. Ensure “Page View Tag” was set up during the initial IBM DA tagging on your website, as we are using Entry Page as our event for this example. From the navigation panel in Watson CXA, click Create > Journey report. From the Audience menu of the report builder panel, click the Edit icon to select an audience, or accept the default value of All customers. In the Interactions menu, click the Starting or Ending icon, or click one of the touch points on the page to add an interaction. Then, select an interaction to associate with the touch point. Accept the default date range to report on or you may click Modify to change it. Click Add filter and select an event attribute and operator from the lists. Enter a value to filter on. If you want to add another filter criterion, click +. Satisfy all belowapplies AND logic to the filter processing where events must meet all of the listed filter conditions to be included in the results. Satisfy any belowapplies OR logic to the filter processing where events that meet any of the listed filter conditions are included in the results. Then, click Apply to add the interaction to the report configuration. In the Look period menu, you can specify the number of days in the range or accept the default range of 14 days. I. Note: If your path includes both a starting interaction and an ending interaction, you do not need to specify a look-back or look-forward range, as the report results will include all interactions that occurred between the starting and ending interactions. 1. Enter the number of days to look back or forward in the box and then click Done. 1. Top journeys of individual metric. This option returns results for the top five journeys ranked according to the metric you select: Most traveled, Duration, Average revenue, or Unique customers. 2. Top journey for all metrics. This option returns the top journey for each of the four metrics. K. To compile your journey report, click Generate. You can then accept the default report name or change it or add a description. Save your report by clicking Save. The ability to combine key customer data and gain a comprehensive view into your customers’ journeys and behaviors provides you with valuable customer insight you can use to identify struggle, optimize experiences and boost conversions for your business. If you missed our last CXA Formula and would like help on how to set up Tealeaf CX on Cloud data in UBX, please access the CXA Formula, “Setting up Tealeaf CX on Cloud Data to Pass through IBM Universal Behavior Exchange (UBX)” by clicking here. Your customers interact with your business across multiple channels, applications and devices, making it challenging to visualize and understand your customers’ cumulative behaviors. Compounding this challenge is the fact that information on your customers’ various interactions can be contained in various solutions, making it difficult to gain an aggregate view of your customers’ paths and behaviors that can be used to help you identify issues and realize opportunities. Using IBM Universal Behavior Exchange (UBX), you can easily share customer data between UBX-enabled products, including Tealeaf Customer Experience (CX) on Cloud, to quickly broaden your understanding of your customers and their behaviors -- providing you the ability to solve problems within a shared customer context and to recognize business opportunities. This customer experience analytics (CXA) formula will assist you with setting up Tealeaf CX on Cloud data to pass through Universal Behavior Exchange, allowing for the selective exchange of event, audience and identity data between various applications, and offering a broader understanding of your customers and their behaviors. For our CXA formula example, we will consider the following scenario: Tealeaf CX on Cloud as the Publisher, Customer Experience Analytics as the Subscriber and Form Field Repeat Struggle as the customer Event. Note: While this example features the IBM Tealeaf CX on Cloud and Customer Experience Analytics solutions, any UBX-enabled products can be registered in UBX including various IBM, IBM Business Partner, third party solutions and your own internal applications. Before getting started with registering your endpoints, use the Dynamic Event Library in UBX to verify that the event type you will want to use for your particular business use case (like cart abandonments, for example) is supported in UBX. Dynamic Event Library can also be used to determine which UBX partners publish or subcribe to specific event types. Set Tealeaf CX on Cloud as the Publisher, as Tealeaf CX on Cloud event data will be passed through UBX in this example. As UBX is an open system, there are many endpoints that can be registered in UBX, including IBM Watson Customer Experience Analytics (CXA), IBM Campaign, Demand Side Platforms (DSP), Demand Management Platforms (DMP) and more. Use the Dynamic Event Library in UBX to select a category and event type to verify that your event is supported by the Publisher and Subscriber. As endpoints are the solutions that send data through UBX, you will need to register the appropriate endpoints in UBX for use in your UBX account. For our example, Tealeaf CX on Cloud will be registered as a Publisher in UBX. Select the endpoint that you want to register and click “Next.” For our example, select “Tealeaf CX on Cloud” as a publisher, and “Customer Experience Analytics” as a subscriber. D. Next, you will need to select the destination for the event(s.) Under “Select Destination,” select your desired Subscriber. Now map event attributes either as event objects or custom. Map event attributes to the relevant event object. similar to the reference value of Tealeaf events. D. Click “Save” in upper right after completing event mapping. As customers today can engage with your business across all channels, using UBX allows you to pull together disjointed customer information from various data sources, offering a more comprehensive and broader understanding of your customers behaviors. 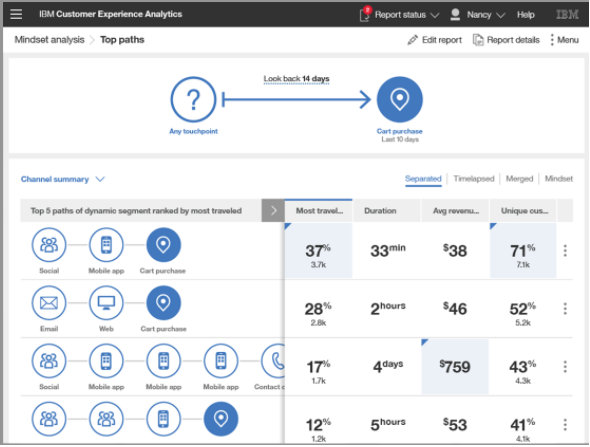 For example, if you wanted to visualize the journeys customers take with your business, you could use UBX to combine the customer behavior data from Tealeaf CX on Cloud with the robust reporting in Watson CXA to create a journey report to analyze the various customer paths and journeys – allowing you to easily identify the top-performing paths or realize the paths that may encounter struggle. If you would like help on how to create a journey report in Watson CXA to visualize the customer journeys for your business, please access our CXA Formula, “Creating Journey Reports to Understand Customer Journeys and Optimize Conversions,” by clicking here. Customers today have come to consistently expect optimal online experiences. Deliver anything less and you run the risk of not converting a user or potentially losing a loyal customer. A crucial first step in the process of optimizing your customer experiences is your ability to quickly discover, understand and minimize customer struggle on your site. By utilizing Struggle Analytics, a cognitive feature in Watson Customer Experience Analytics (CXA), you can easily monitor specific processes or promotional pages on your site to quickly identify customer struggle and uncover areas of opportunity to improve and optimize your customer experiences. Quickly discover obstacles to superior customer experience on your site by setting alerts to be notified when struggle thresholds are exceeded, allowing you to take swift action to eliminate struggle before it becomes prevalent. Employ session replay technology to view the customer struggle identified and rectify issues to optimize customer experiences on your site. This customer experience analytics (CXA) formula will explain how to use Struggle Analytics in Watson CXA to effectively monitor specific processes, pages and events on your site for struggle activity, allowing you to quickly detect and analyze customer struggles and take corrective action to rectify issues and deliver frictionless customer experiences. Struggle Analytics is a cognitive feature that uses algorithms to learn over time what is normal user behavior on a page and what is not and assigns a struggle score based on struggle factors. The struggle score is calculated from weighted default factors and struggle event factors, and factors are weighed on a scale of 1 to 10. Note: There is also the option to add user-defined events as struggle factors, allowing you to closely monitor and weight variables that are specific to your particular business. Elements to consider could include abandonment events, error pages, no results searches, or events that capture struggle for customers in a particular region, etc. Customer struggle can vary depending on your site design or business focus, but some examples of struggles you may want to monitor could include users entering multiple credit card numbers (i.e. potential fraudulent activity) on your check out page, struggling with a form field (i.e. user confusion) on your registration page or having to wait extended periods of time for a page to load (i.e. poor or invalid web design) on your product page or shopping cart page. Select Struggle Analytics in Watson CXA and then from the Options menu in the upper right corner, select Map Page. Select Configure from the left side and enter a recognizable name for your mapped page or you can use the provided pages and icons to name your pages. 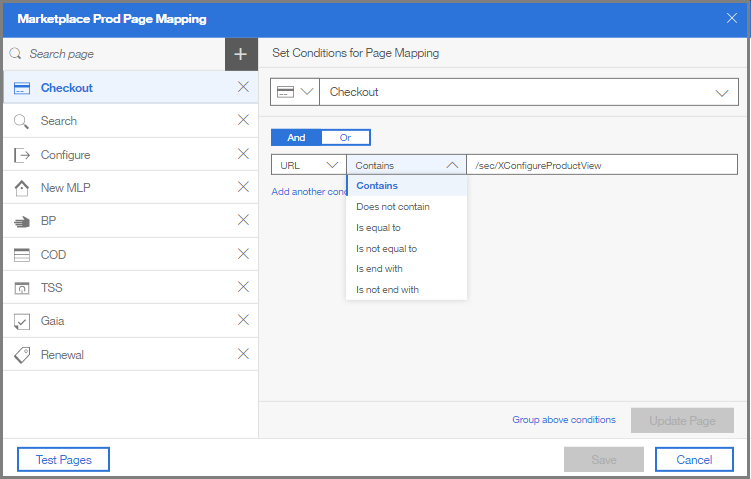 Then enter the page URL you want to monitor and select the appropriate conditions you want to include for your page mapping. The conditions that you specify can be And or OR and are based on the page URL or an Event. Next, test the set conditions against existing sessions by selecting Test Pages in the lower left. Then, resolve any issues that are shown in the Test results window. When all of your page maps have been added and tested, the Struggle Analytics service will begin to analyze customer struggle in sessions for the mapped application. It takes about 10 minutes for the Struggle Analytics service in Watson CXA to begin posting results. The generated struggle report will identify customer struggle for your mapped pages using a set of algorithms based on key struggle factors and a struggle score will be assigned. 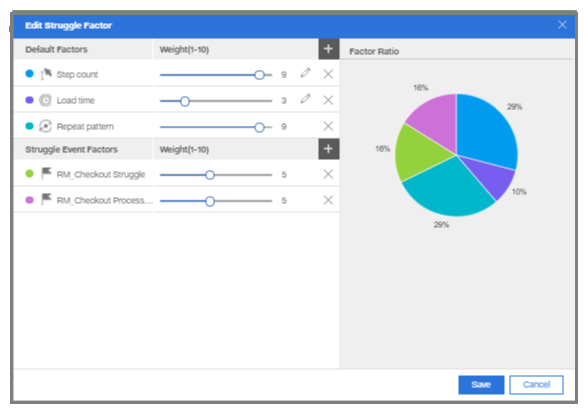 Struggle Analytics provides a predefined configuration for load time, step count, repeat pattern and UI element struggle factors. However, Watson CXA allows you the option to modify the configuration for struggle factors that are taken into consideration in the algorithm. You can change the weight (significance/importance) of a factor, add event-based factors, or exclude a struggle factor from being calculated on a particular page. The ability to modify the configuration for Struggle Factors is helpful if you want to shift your focus to a particular area as your analysis becomes more specific over time. The associated Default Factors and Struggle Event Factors are displayed. Adjust the struggle factor weight by sliding the circle left to right. Click Save in the lower right to save your selections. You have the option in Struggle Analytics to edit the configuration for Struggle Thresholds, allowing you to make modifications to struggle thresholds that are most relevant to business on your site. The struggle score threshold is the maximum struggle score that is acceptable, or considered within normal range, for a session and is based on the total struggle score for a session. The Percentage of sessions demonstrating struggleis the percentage of sessions that have a struggle score that is greater that the struggle score threshold. For example, in the screenshot below, the struggle score threshold is set to 80 and the Percentage of sessions demonstrating struggle is set to 5%. 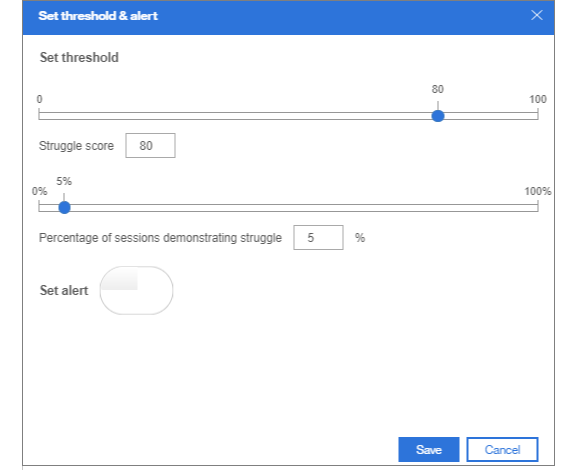 If you have enabled the option to receive alerts, an alert will be sent if and when it is detected that 5% of the sessions are showing a struggle score of 80 or more. The reports generated by Struggle Analytics display the sessions that match the page mapping conditions and struggle score and percentage that you set. Highlighted are the top 10 struggling sessions, the session struggle score, and the session struggle indicators and number of instances of each struggle indicator. From the details page, you can view the median load time, step count, and UI element struggle for the struggling page or event. Utilizing session replay technology in Watson CXA, you can then drill deeper and replay the sessions that included struggle activity and view the actual struggle, allowing you to easily identify the source of struggle and take quick action to rectify issues and optimize the customer experience on your site. Your customers are engaging with your business across many different journeys – with customer interactions taking place over multiple channels, devices and visits -- and engagements occurring anywhere and anytime. At the same time, in a competitive environment where your customers have increasing expectations to enjoy optimal experiences at every touchpoint, addressing the challenge of visualizing and understanding your customers’ complete journeys is essential for enriching experiences, building loyal customers, and maximizing conversions. Creating journey reports in IBM Watson Customer Experience Analytics (CXA) allows you to quantify and visualize customer journeys – individually and in aggregate – across devices, channels and touchpoints, offering you the opportunity to quickly compare path popularity, duration, revenue and customer values across unique segments (i.e., web, mobile, email, etc.) and the ability to resolve potential issues, increase conversions and optimize every journey to create loyal customers. Visualize a consolidated view of customer journeys to recognize the most traveled paths, the shortest paths, the paths that generate the most revenue and the paths that are most successful in leading to conversions. Identify where customers may struggle or succeed in their paths and drill down for a deeper understanding of customer journeys and the source of customer friction or customer conversions. Examine how activity in one customer path may impact performance in other paths, allowing you to optimize all customer journeys and increase conversions in all channels. 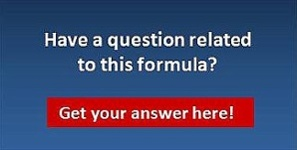 This customer experience analytics (CXA) formula will assist you with creating customer journey reports in Watson CXA to offer you a complete view of the multi-channel paths your customer take, enabling you to identify the paths that are the most relevant to your business, such as paths that lead to conversions or paths that top-tier buyers pursue, allowing you to drill deeper and uncover insight you can use to optimize all channels and customer journeys. In addition, the analysis of journey reports can also assist you with evaluating the paths that may require additional optimization to increase conversions. As you can configure journey reports to focus on analysis of particular audiences or specific customer interactions pertinent to your business, it is first helpful to understand the key components of journey reports. Audiences: A journey report can be configured to include all of your customers or just a specific audience, such as top-tier buyers or customers from a specific demographic group. Top paths: Top paths are identified through four metrics, including path duration, most traveled, average revenue generated per customer and how many unique customers traveled the path. Journey reports can be configured to include the top five paths in the report results or only the top path. Touch points: A touch point is the starting point or the ending point for a path in a journey report. You must define at least one touch point—a start point or an end point -- or you can define both a start point and an end point. Range of interactions: Touch points are the foundation that defines where the path starts or ends. If you define both a start and end point for a path, the path results include all interactions that occurred between the two touch points. If you define only a start point as a touch point, you can specify how many days from the start point you want to look forward for interactions. If you define only an end point, you can specify how many days from the end point to look backward for interactions. In the navigation panel, click Create > Journey report. Satisfy all below applies AND logic to the filter processing where events must meet all of the listed filter conditions to be included in the results. Satisfy any below applies OR logic to the filter processing where events that meet any of the listed filter conditions are included in the results. Then click Apply to add the interaction to the report configuration. Note: If your path includes both a starting interaction and an ending interaction, you do not need to specify a look-back or look-forward range, as the report results will include all interactions that occurred between the starting and ending interactions. Top journeys of individual metric. This option returns results for the top five journeys ranked according to the metric you select: Most traveled, Duration, Average revenue, or Unique customers. Top journey for all metrics. This option returns the top journey for each of the four metrics. To compile your journey report, click Generate. You can then accept the default report name or change it or add a description. Save your report by clicking Save. Watson CXA processes two report types for your customers’ journeys: Channel Analysis and Pattern Analysis. By default, a journey report opens with the journey channel analysis results displayed when you click Manage > Journey reports and select the report you want from the list. By then clicking on the Report type menu, you can switch to the journey pattern analysis results for your report. Accessing journey channel data: Helps you analyze your journey channel data by providing four path view types: Separated view, Time-lapsed view, Merged view, and Mindset view. Analyzing journey patterns: Helps you discover the sequences of customer behavior that have the greatest impact on the customer journey by using journey pattern analysis. While there are many use cases for customer journey reports, for this formula example we will apply journey channel analysis to analyze and understand the customer journeys that led to conversions and use this insight to successfully support a new product launch. As we want to better understand what led the top-tier buyers to convert on previous purchases of similar products, we configure the journey report to show only the paths that were taken by these buyers by selecting Top Tier Buyers from the Audience menu. There may be several successful paths by top-tier buyers, so we will select to view the top five most-traveled paths by selecting this option from the Report options menu. Or, you can select to view just the top path from the options menu, if you wish. For the selection of the end touch points of the paths, we will select the Cart Purchased event, as we want our report to capture only the paths that resulted in a conversion. Additional filters can also be applied to this event. For this formula example, we will apply a filter to specify the cart purchase of a particular product, as we want to identify the top paths for customers who converted or purchased a particular product, so that we can apply this insight to the launch of a similar product. The journey channel report results show the top five most traveled paths that led to the purchase of our specified product. Each path shows the channels that customers used to interact with our brand, and the paths are sorted by most traveled in descending order. The report also provides metrics to compare paths by duration, average revenue, and number of unique customers. If we want to visually compare the top five paths along the time dimension, we can switch to the Time-lapsed view to quickly gauge the time elapsed between individual channels within a path. Drilling into the most frequently traveled path in the channel summary, we see an aggregate view of the customer interactions that the top-tier buyers completed in the different channels along their path to purchasing our particular product. By analyzing the interactions of top-tier buyers, we can identify what influenced their purchase. Perhaps they first opened a promotional email with a 10% discount offer, clicked the email link to the product summary page on the website, and then launched the promotional product video before making their purchase. Or, maybe they were influenced through a social media promotion to visit the product page, and they then downloaded a product brochure before finalizing their purchase. By drilling down into the channel activity, we can uncover what interactions led to conversions and replicate those offerings to support conversions for our new product launch. While our formula example utilizes journey channel analysis to gain insight into customer journeys, journey reports can also be configured to provide journey pattern analysis to help identify high-impact customer behavior patterns in customer journeys. Armed with deeper insight into your customers’ interactions and journeys using journey reports in Watson CXA, you are better able to replicate successful customer paths, resolve potential issues or customer struggles, and optimize journeys in all channels to increase conversions. Offering an optimized customer experience requires more than just providing your online customers with enhanced web pages or advanced site functions -- it requires you to ensure that your entire online business process is optimized and nurtures conversions. As customers progress through various process steps to complete transactions on your site, it is important to monitor your critical business processes and identify and alleviate customer friction within individual process steps. Understanding where your customers may struggle within your business process offers you the opportunity to optimize your process steps, enrich customer experiences and improve conversions. By using process reports in Watson Customer Experience Analytics (CXA), you can gain visibility into the overall performance of your business processes and identify individual process steps that may require enhancements or improvements. By then comparing the performance of process steps across a common process flow for different segments of your business, you can recognize segments that may require increased refinements and optimization. Uncover customer struggles or usability issues in your business process steps to identify areas requiring improvements and optimization. Compare segments across a common process flow to identify segments that may be underperforming and require fine-tuning to increase the success of your overall business process. Create process reports in Watson CXA to gain visibility into the performance of your business processes by identifying the conversion rates and abandonment rates for all process steps. Drill deeper with session analysis to understand what causes abandonments in your process steps and implement the necessary improvements to increase conversions. Compare process reports for different segments across a common process flow to begin to recognize process issues with particular segments of your business, allowing you to improve underperforming segments and processes and overall optimize your customer experiences. Online business processes differ, but common examples include placing an order for a product on your ecommerce site or registering a new user account for your business. Similarly, the process steps and sequence of events can vary and may include the following: place items in a shopping cart, provide customer information and shipping address, complete payment method, review order and submit order for fulfillment. The events that follow the placement of a customer order are key in your overall business process as well and can include: processing payments, verification of orders and shipment of the final products and more. As such, you will want to ensure you have events built to record the important process steps that make up the sequence of events that define the flow of your critical business processes. Go to Optimize > Analytics and go to your workspace. Select Add widget and select Create Report > Process report from the Actions menu. The New Process Report page is displayed. Select an application profile and click Next. Select metrics as step page is displayed. Select the steps that define your business process. From the Metrics column, select the events that when sequenced together define the process that you want to score or evaluate. Drag each object one at a time a time to the Steps column. The metrics are linked together in a sequential process flow in the Steps column. For each step you select, the absolute numbers of visitors are counted, and a conversion rate is calculated. Enter a step name for each metric you added to the Steps column and click Next. 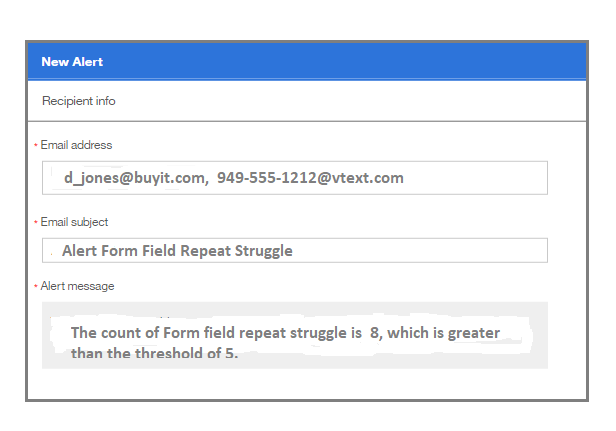 Select any additional segments or use the default segment only. Click Create to Preview your Process report. Click Save report to create the report and add it to your workspace. Evaluate your Process Report to understand how the steps in your business process are performing. Process reports automatically measure and score (against defined goals) the overall success and failure of your online process steps. Analyzing the scoring for each process step allows you to easily identify process steps that include a percentage of abandonments that fall outside expected or typical percentages for your business. Ongoing monitoring of your process report is important and can help your identify significant changes in performance across your business processes that might signal a concern, allowing you to quickly rectify issues and keep your business processes and customer experiences optimized. By identifying process steps that reflect a higher than normal percentage of abandonments, you have the ability to analyze sessions to better understand the cause of customer friction or struggle within the process step(s). For example, if your process step for “Check Out” is showing a high percentage of abandonments, you can drill down into sessions to understand if customers may be entering expired promotion codes or an invalid payment type. Or, if you have added a new step to your registration process, and abandonments are high for the new process step, you can use session analysis to understand if customers may be confused on the new step or if there may be an issue with your registration form or field. As a streamlined and frictionless business process is key to creating loyal customers and boosting conversions, it is important to quickly identify and understand what obstacles may prevent customers from successfully progressing through your business process steps with optimized experiences. Comparing your process reports for different segments allows you to look at how your various segments are performing across a common business process flow or how your data from process reports may change over a period of time by comparing different dates. By comparing process reports, you are able to identify individual segments that encounter challenges in your business process steps and then apply improvements to increase conversions across your entire business process. For example, you can compare a process report for all mobile visitors and a process report for all desktop web visitors to determine if a segment encounters a struggle in a particular process step. If your mobile visitors struggle during a particular process step, while your desktop visitors do not, you can then drill down further to understand what is causing friction for your mobile visitors. Perhaps one of your process steps is not optimized for mobile? Or, are your mobile abandonments isolated to a particular operating system? You can also compare segments to understand if customers struggle in a particular geography or if customers encounter friction while using a particular browser across your business process. There are a couple of ways you can compare segments or audiences for process reports in Watson CXA. First, you can update the audience view or date view when viewing a process report. Or, you can compare process reports for different audiences or dates for a common process flow in a side by side comparison view. From your workspace Open the Process report for which you want to compare data. Select the Compare The Compare mode dialog is displayed. Enter the compare criteria. You can compare by date or by segment. Enter the date or segment for the current report and enter the dates or segments for the comparison report. Select Applyto apply your criteria to the report. The original report and the report with the new date or segment are shown side by side for comparison. You can view the data in chart and grid form. Select Save Reportto save the report to your workspace and enter a name for the report. Select the Full screenicon on the saved report to return to the side-by-side comparison view. Select the Comparelink to exit Compare mode. By creating process reports, you are able to look at the performance of your overall business process and understand where you may be losing customers in your process, providing you the opportunity to optimize your process steps to improve the customer experience and boost conversions. As customers expect an optimal experience every time they engage with your business, understanding where – and when – they may struggle on your site is crucial. The ability to readily identify customer struggle, and quickly rectify issues for a consistently optimized customer experience, can be further compounded by the number of channels and campaigns that may be involved in driving your business, where you are required to optimize many more pages and potentially new processes. But, how can you know exactly when customers encounter struggle on your site? Enabling real-time alerting to be automatically notified when struggle events occur on your site can assist you with quick detection and analysis of customer struggles, allowing you to swiftly take corrective actions to deliver frictionless customer experiences. Discover obstacles to superior customer experience through alerts that notify you at the first sign of customer struggle on your site. Swiftly act on alerts and insights to proactively eliminate areas of struggle before they become prevalent. Quickly optimize customer experiences with real-time struggle detection and alerting. This customer experience analytics (CXA) formula will demonstrate how to create, use and manage alerts for defined struggle events on your site using Watson Customer Experience Analytics (CXA), allowing you quick notification of and increased insight into customer struggles that you can then use to rectify issues and optimize customer experiences. 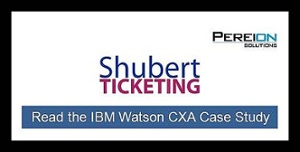 Struggle events you created using Struggle Analytics in Watson CXA. Events you have built in Event Manager to monitor struggle on your pages. Depending on your website design and what activities you would like to monitor, you could consider creating events to evaluate struggle or user confusion on your check out page, product page, registration page or shopping cart page, and more. As configuring an alert requires some consideration on the threshold values and threshold intervals that are best to use for accurately monitoring your event activity, it is helpful to first let your events run for a short period of time. This will allow you to observe what event activity is within expected or typical range on your site, so that you can better configure your alert notifications to trigger when your event activity falls outside of normal range. However, if you are launching a new page (i.e. campaign or promotional page), a new process (i.e. registration), or perhaps launching into a new market, you may want to set up alerts right away to notify you of any immediate struggles or issues users encounter. Select Alert Manager from the left navigation in Watson CXA and click “+ New Alert” in the upper right. The basic info screen for creating alerts will display. Count: Sends an alert notification based on the event count as compared to the threshold operator and value. Ratio: Sends an alert notification based on the ratio of two events. You choose two events, one as the denominator and the other as the numerator. Alert notification is sent once the threshold has been met. The threshold is set as a percentage. Sum: Sends an alert notification based on the sum of a numeric event value collected during the alert interval based on the threshold value using the threshold operator. The most common type of alert is typically count, as there are many events where a high or a low count could signal an issue with your site. For example, a high number of bounces from your check out page or a low number of counts to your landing page. With the ability to select different alert types, as well as add dimensions to the event you would like to closely monitor, you have the flexibility to apply some creativity and uncover different activities that are taking place across your site and move beyond simply tracking page load issues or page not found errors. Identifying user struggle during peak or high-traffic times. For example, if you want to be alerted to possible fraudulent activity taking place on your site like a user entering multiple credit card numbers in the same session, you can configure an alert for events tracking the process on your checkout page. You would select ratio as the alert type and apply an event recording total credit card entries as the numerator for the ratio and an event recording the total sessions as the denominator. For global operations, you can apply dimensions to the events you are monitoring to segment by location and receive alerts for struggles that may occur in particular geographies or regions. Or, perhaps you need to monitor influencers or referrals to your landing page as part of a new campaign. Applying dimensions to your monitored event can allow you to be notified, for example, if counts to your campaign landing page drop or fall below expectations for your campaign. In addition, if you are implementing a new campaign or registration process, you could consider configuring alerts for notification on the potential use of invalid promo codes or login issues on your registration page. Monitoring abandoned cart rates or percentages is also helpful in alerting you to potential user struggles that could signal potential page or process issues. After selecting the event and alert type, select the threshold operation (i.e. is greater than, is in the range or is less than) and enter a threshold value for the event activity you are monitoring. Again, you will want to consider what is within normal range for event activity on your site when deciding on these values. Click continue once your alert parameters are defined and the Recipient info screen is displayed. While the email address defaults to the email address of the person creating the alert, you can add additional recipients to receive alert notifications. Use Email to SMS Text gateway to send the alert notification email as a text message to your mobile phone or a recipient’s mobile phone. Review and update the email subject to ensure it is prescriptive and allows you to readily identify the alert notification when it is received. This is especially helpful if you are receiving multiple alert notifications. Click Continue once your Recipient info is confirmed and the Blackout info screen displays. After an Alert is sent, you can specify an interval of time during which no other alerts of this type are created as part of the Resume alerting. Note: You can also specify blackout periods during timeframes in which you may not want to receive alerts like during non-business hours, for example. It is also important to consider that very few systems will operate with 100% uptime or that your site will experience a struggle-free environment. So, be sure to check your alert configurations if activity seems unusually quiet. Finally, complement real time detection of customer struggles with session replay technology in Watson CXA for increased visibility into your customers’ behaviors and struggles to pinpoint where and why experiences are occurring, allowing you to quickly rectify issues and readily optimize your customers’ experiences. There are a lot of factors to consider when developing your marketing strategy and campaigns. One very important component that deserves special focus is the marketing landing page. In many ways, your marketing landing pages are the heart of your campaigns and play a crucial role in a campaign’s success. A great landing page not only serves to generate leads and create conversions, but tracking performance of your marketing landing pages can provide valuable insight you can use to better align your marketing strategies and maximize the effectiveness of your campaigns. So, how do you go about ensuring your marketing landing pages are optimized to support your business objectives? In this analysis, we will show how using marketing optimization reports can provide you an end-to-end view of the effectiveness of your marketing landing pages, offering insight from your customer behaviors that can assist you with optimizing your marketing landing pages to help improve engagements, enhance customer experiences and maximize conversions. Optimize marketing landing pages and maximize effectiveness of marketing campaigns utilizing a better understanding of customer behaviors and interactions. Uncover usability and design flaws on your landing pages for increased visibility into areas requiring improvements and fine-tuning. Utilize marketing insights to make better-informed decisions on how to best align your marketing strategy and improve campaign performance. This customer experience analytics (CXA) formula will explain how you can use marketing optimization reports and usability analytics in Watson Customer Experience Analytics (CXA) to track landing page performance and identify areas for improvement on your marketing landing page design and overall campaign marketing strategy. With this insight, you are better able to optimize your landing pages to improve the customer experiences and conversions while maximizing your marketing efforts and budgets. Create the Marketing Management Center tracking codes (MMC codes) used in attribution reports in Watson CXA utilizing the Tracking Code Generator. The attribution reports, such as the Marketing Channels and Marketing Program reports, allow you to track key campaign performance indicators and monitor the performance of your marketing channel to identify trends that may be a concern or require immediate attention. If you need help or missed our earlier Watson CXA formula, “Getting Started with Marketing Codes and Attribution Reporting,” click here. Use the Marketing Channels report to track key performance indicators for each channel, such as bounce rate, conversion rate, sales, or percent share of traffic, and monitor for significant changes in performance that might signal a concern. Use the Marketing Program report that provides a comprehensive view of your online paid marketing activity to drill deeper into your marketing campaigns and help identify potential reasons for changes in performance across your paid marketing elements. Apply usability analytics, like heat maps, to evaluate customer behaviors and understand if your landing page design is optimal or if usability improvements are needed to improve your customer experiences and increase conversions. Heat maps are helpful in identifying where customers are engaging on your page and recognizing areas of your page that may be causing struggles. A successful marketing campaign – and optimized landing page – encompasses more than one strong component. So, creating an end-to-end view of campaign activities – before, during and after engagements with your landing pages – allows you to pinpoint what elements are working and identify the segments that may be underperforming. This is a great first step in helping you quickly understand how all of your landing pages are performing and allows you to zero in on the pages that are readily viewed and those that are not. Is there a landing page or two that really stands out? Are there pages that peak one day to only drop in views the next? 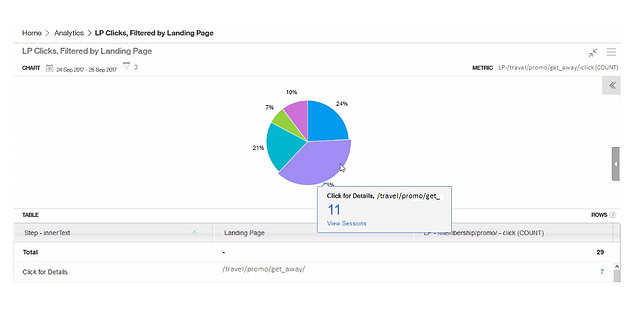 Create a marketing report to track your daily landing page views by MMC (Marketing Management Center codes) to evaluate the performance of your campaigns. Understanding how landing pages are performing by campaign allows you to take a further step in identifying what campaigns are driving interest and what campaigns may need fine-tuning or more evaluation. Create a marketing report to track your daily landing page views by referral source to evaluate how different channels are performing in directing traffic to your landing pages. This report will help you understand what influencers are driving traffic to your landing pages and what their impact on your campaign is. What marketing channels are driving the most traffic to your pages? Is there a channel that is underperforming and could be eliminated to conserve budget or perhaps improved to maximize conversions? You might then create a report that offers a view of landing page performance by MMC code and referral source allowing you to evaluate if a particular combination of referrals by campaign are working exceptionally well – or perhaps not well at all. Create a marketing report to track call to action (CTA) by landing page to evaluate where users are clicking on once they land on your marketing landing page. Create a marketing report to track conversion rates by landing page to identify what landing pages are the most successful in driving users to convert. Of course, one of the valuable pieces of information is whether your landing pages are leading users to convert to customers. Are there any pages that perform exceptionally well with conversions? Is there a conversion event you can identify? Or was there a progression of success factors that contributed to conversion based on your collective review of the marketing reports? Create a marketing report to track conversions by landing page and by MMC and referral source and CTAs to then get a complete end-to-end view of how the combination of marketing elements are working together. A cumulative report will allow you to understand what marketing elements are working together to drive your business and what elements may need some further evaluation and fine-tuning. In order to best view this aggregate data, format in a table or a stacked bar or create the report with filters so you can refine the views to get a better understanding on how different elements impact your marketing efforts. In order to ensure you can create the appropriate marketing reports, you will want to be sure to have the correct events enabled – like events to capture views on your landing pages, clicks on your CTAs and conversions events. At the same time, the ability to dimensionalize your marketing data by campaign and channel is key, so it is essential to have the correct MMC codes generated for use in the various marketing reports, so that you can further evaluate what is impacting your campaign performance. With a better understanding of what is driving your campaigns and leading to conversions, you gain valuable insight you can use to develop optimized marketing landing pages – pages designed to create enriched customer experiences and brand loyalty. So, with the critical role that landing pages play in your campaigns, an optimized landing page ultimately translates into an optimized campaign driving maximized business results. Understanding what influencers drive conversions across the marketing funnel is one of the important data points you can leverage to help drive your marketing campaign success. Equipped with this valuable insight, you are able to better allocate your marketing resources and best align your marketing strategy to maximize opportunities. In fact, the marketing attribution reports available in IBM Watson Customer Experience Analytics (CXA) can tell you a lot about what is driving your marketing campaigns – what marketing channels drive the most leads, what paid search terms perform the best, what key words do visitors associate with your brand, what websites refer the most traffic to your site, and more. In this analysis, we will share how to create the Marketing Management Center (MMC) codes that are used to generate marketing reports that can better inform you on the influencers -- marketing channels, programs, search and referring sites -- that are driving your marketing campaigns, allowing you to better refine your marketing strategy and maximize your marketing spend. Create marketing analysis offering valuable and actionable insight on influencers that you can use to maximize the effectiveness of your marketing campaigns. Utilize marketing insights to make better-informed decisions on how and where to invest your marketing resources to optimize your return on investment (ROI) and minimize wasted marketing budget. Manage your marketing strategy's performance with increased efficiencies by identifying deficiencies and developing effective marketing processes. This customer experience analytics (CXA) formula will demonstrate how to create the Marketing Management Center tracking codes (MMC codes) used in marketing program reporting in Watson CXA utilizing the Tracking Code Generator. We will also highlight the marketing reports available that you can use to maximize your marketing efforts and increase your campaign performance. As an entry point into marketing analysis for marketing programs, you can generate, format and append Marketing Management Center (MMC) tracking codes to your destination URLs to track off-site campaign links. Data from the MMC tracking codes is used in the Marketing Programs report. To reduce the possibility of error, you will want to create the Marketing Management Center (MMC) codes using the Tracking Code Generator. 1. Download and install the Tracking Code Generator. Within IBM Digital Analytics, click Manage > Marketing > Tracking Codes. Note: Be sure to use the appropriate IBM® Digital Analytics service domain name for your organization. Launch the downloadable file to install the Tracking Code Generator. Once installation is complete, an icon will appear on your desktop. You can also access the Tracking Code Generator by clicking: Start > All Programs > IBM Digital Analytics >Tracking Code Generator. 2. Generate Marketing Management Center (MMC) tracking codes used in Marketing Program reports. You can specify marketing program attribute values to attach to the destination URLS for specific marketing programs (for example, cm_mmca1=). Open the Tracking Code Generator. Open the Excel file that you want to use, or download the template from the Marketing Program Codes tab of the Tracking Code Generator. Give your file a unique name and save it to your desktop. Add the destination URLs and parameter values to your file, then save the file (Refer to Diagram A below). On the Marketing Program Codes tab of the Tracking Code Generator, follow the on-screen instructions to select options for the marketing programs format, existing codes (if any) in your file, and advanced settings. Click Browse to select your Excel file. If the file is successfully processed, a message displays, indicating the number of rows successfully processed. Open the Excel output file and you will see the MMC parameter appended to each URL. (Refer to Diagram B below). If any rows in your file contain an error message in column F, correct the error and use the Tracking Code Generator to reprocess the file. If column F is blank, the URL in the row is a valid MMC destination URL. Do not skip rows in between values. The Tracking Code Generator will stop processing when it encounters an empty row. Include http://as part of the destination URL. Do not include multiple worksheets in your Excel files. The Tracking Code Generator will not process an Excel file that contains multiple worksheets. Use unique file names for the downloaded Excel templates, and for your input and output files (for example, 1.2013.xlsand MMC_output_9.1.2013.xls). If you use special characters in your parameter values, ensure that the characters you use are supported in Digital Analyticsparameter values. As mentioned above, generating and appending MMC codes to your destination URLs creates data used in the Market Programs report that offers a comprehensive view of your online paid marketing activity and provides a good start to analyzing the performance of your marketing campaigns and links. Using the Marketing Programs report, you can analyze marketing programs to improve the performance of content or creative placement, identify creative element within emails that generate the most click-throughs and transactions to enhance future emails, as well as analyze various paid search terms to improve the performance of existing keyword marketing placements, and more. Additional acquisition reports available include the Marketing Channels report that provides a high-level overview of the referral sources or vendor channels that direct traffic to your website, allowing you to pinpoint those channels that are the most effective and identify those that may be adding little value to your business. The Natural Search report identifies website traffic and conversion that results from natural search and helps you identify which keywords visitors associate with your brand, allowing you to refine your paid search marketing strategy and optimize ROI. 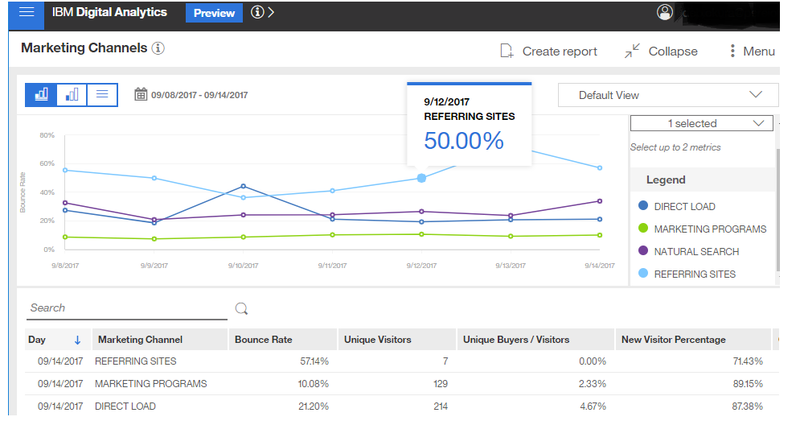 Finally, the Referring Sites report recognizes the websites that are referring traffic to your website so you can measure the value of this traffic and identify areas of opportunity or isolate areas for possible improvement. Collectively, the insight offered through the marketing attribution reports provides you with actionable data that you can use to better align your marketing strategy and optimize your campaign results. Developing a complete view of your customers is critical in today’s competitive environment where it is essential to understand how customers are interacting with your business and why particular customer behaviors may be recognized on your site. 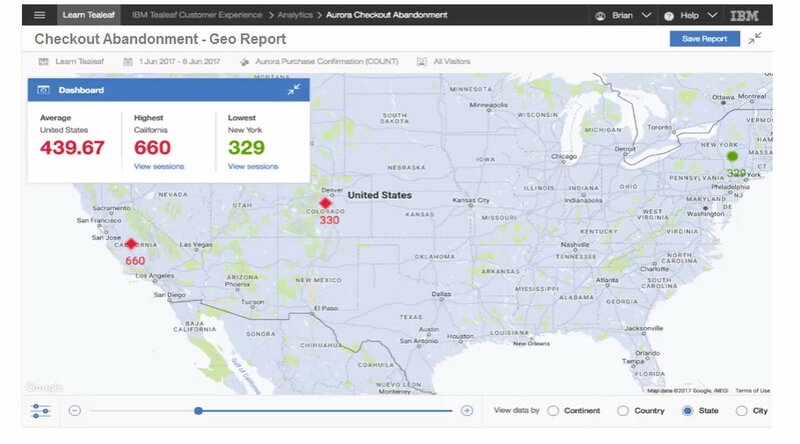 By expanding your reach with geospatial analytics available in Watson Customer Experience Analytics (CXA), you can now also understand where geographically customers are engaging or struggling with your organization, allowing you additional insight to make more informed and targeted decisions about your business on a global level. By applying geo analytics to your reports, you can understand how your business is performing across geographical areas, allowing you to identify particular areas that may require improvement or adjustments and overall enabling you to maximize wide-scale business opportunities. Examine online abandonment rates by state to remarket to customers with a targeted campaign or promotional offer for additional savings at a local storefront. Evaluate error conditions or struggle indicators like broken pages by country for global operations to deploy necessary site improvements. Assess mobile traffic by city, state or zip code to inform your mobile strategy, optimize mobile site design and/or develop improved mobile applications. Review marketing landing page traffic by country or region to understand campaign effectiveness by geography and identify potential areas for campaign improvement. This customer experience analytics (CXA) formula will assist you with applying geo analytics to event reporting available in Watson CXA to understand how your business is performing across states, regions or the globe. At the same time, the formula will illustrate how to set a threshold to measure geo analytics data by positive or negative performance, as well as drill down into particular sessions, as appropriate, to visualize customer experiences for increased optimization. This analysis is flexible and you should apply geo analytics to the event reports that are most important to your business goals or most relevant to your key performance indicators (KPIs). Just as events populate reports, the Geo reports populate event data based on the location of a customer’s device or machine. To create a Geo report, navigate to the Event manager to either build an event or modify an existing event for geo analytics. The event you build or the event you select to modify will depend, of course, on what data you want to evaluate on a geographical level. Any event that you would like to evaluate on a geographical level can be created or modified for geo analysis. Looking at our example scenarios, you could build or modify an existing event tracking hits to particular website pages or to marketing landing pages you may have developed to support a campaign. Or, you could create or select an existing event tracking mobile interactions on your site or build an event to record online abandonments, as examples. Once you have created an event or selected an event to modify, you can enable the event to collect geo analytic data by simply scrolling to the bottom of the event’s configuration, and then selecting the ON switch for Geo Analytics. When the geo analytic-enabled event is saved, you can use the event in geo analytic reports OR in standard reports using geo analytics as breakout values. Similarly, you can also enable dimensions for geo-analytics and integrate the dimensions as a breakout in a report. Using the Geo out of the box dimension groups, you can segment report data by continent, country, state or city. From the Geo report screen, select an application’s profile in the upper right. You could be monitoring both a mobile application and a desktop website for your business. Next, select a timeframe to populate report data You can select a fixed data range OR select to keep your report updated with rolling date ranges. Finally, click “metrics” and then “add metrics.” An “add metrics” screen is displayed. As Geo reports can be populated by multiple metrics, you can select the metric or metrics to be used in your report. From the metrics selector, you can select the metric by filtering by the tag that was assigned to the metric OR select the metric by using Search. For example, in the first use case on examining online abandonment rates by state, you could search by the word “abandonment” and then select the applicable event that was created to capture abandonments in reporting. When the correct event or events are highlighted and then applied from the metric selector, the Geo report is then displayed. Geo reports can track both positive and negative performances of events. To identify positive and negative events in the Geo report, you can set a threshold to analyze geo analytics data. The threshold value determines at what value we establish the geo report as positive (or healthy) or establish the geo report as negative (or critical). From the displayed Geo report, select the “summary” tab from the upper right. A dashboard appears showing the “average” value of the mapped data, as well as the highest value and lowest value of the mapped data. Looking again at our first scenario on examining online abandonment rates by state, for example, the dashboard will show the state with the highest frequency of abandonments and the total number of abandonments for that state, as well as display the data for the state with the lowest rate of abandonments and identify the average number of abandonments across the Geo report data. After reviewing the dashboard data, select the “threshold” indicator in the lower left. From the threshold indicator box, you can select to measure a positive performance or select to measure a negative performance. Again using our example of abandonment rates by state, we would select to measure a negative performance, as we are populating our Geo report to track abandonments. Finally, insert the threshold value to be used in your Geo reporting. While you can select any value for your threshold, it is helpful to consider the data in the summary dashboard when selecting your threshold value. For example, if we again refer to our first use case, if the state with the highest rate of online abandonments includes 660 abandonments, we could use half of that number, or 330, to start out as our threshold indicator. You should consider KPI’s and performance goals assigned to your business when selecting the appropriate threshold value to include in your Geo reports. After applying the threshold value, the Geo report is updated to reflect positive or healthy performance in green. When numbers exceed the defined threshold, the numbers are displayed in red for negative or critical performance. The ability to view data in a Geo report allows you to quickly understand how business goals are performing across geographical areas and to easily identify geographies, regions, states or even cities where your business may require improvements, adjustments or enhancements. Did your campaign landing pages show critical performance in one or two countries compared to healthy performance reflected in 5 or 6 additional countries? What contributed to the poor performance in particular countries? Using replay capabilities available in Watson CXA, you can drill down into sessions from areas where a critical performance is identified in the Geo report and visualize what struggles or obstacles may be contributing to the negative results. Were campaign landing pages slow to load in critical performing countries? Did a design flaw on the landing page cause customers to struggle? Geospatial analysis complemented with replay capabilities in Watson CXA can help you identify poor performance in select geographical areas and assist with visibility into the necessary improvements. Geospatial analytics offers additional insight into your data and helps you better understand how your business is performing across countries, regions, states and even cities. The observations from Geo reports can help you realize how promotional campaigns, render times, abandonments and more measure up across the globe, allowing you to reach beyond transactional data into locational information that can identify geographic trends and assist with making better business decisions to maximize global opportunities.